Based on your feedback, we've added two brand new packs! - Would You Rather - Vol. 3. 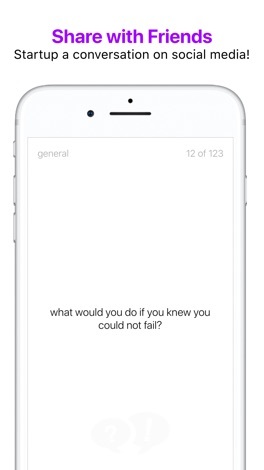 Now, you'll have over 160 topics in the "Would You Rather" genre to enjoy for quite some time! Also, please share this with your friends and check out some of our other apps. As always, thanks for enjoying Get Gabbin' and please let us know if you have any feedback. Grab this app and get gabbing!! Get Gabbin' is a fantastic app that energizes your conversations with your family and friends. Perfect for breaking the ice with anyone! Make dinner time fun again with 760+ topics that you can ask anyone. 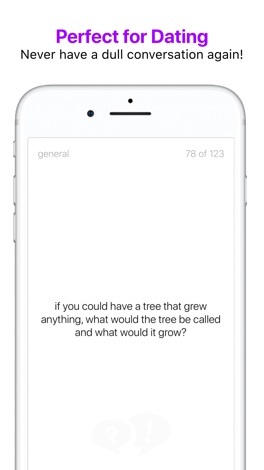 Share topics on Twitter, Facebook or just text someone a question. 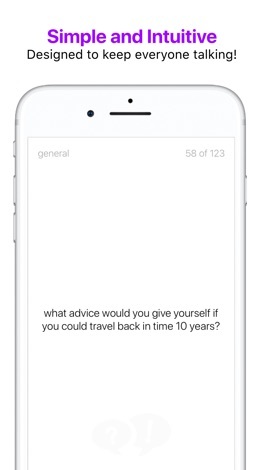 Swipe right to get a new topic and swipe left to go back. Tap the settings button to select a pack of topics. You can even submit your very own topic!